A week or two of backpacking isn’t enough? 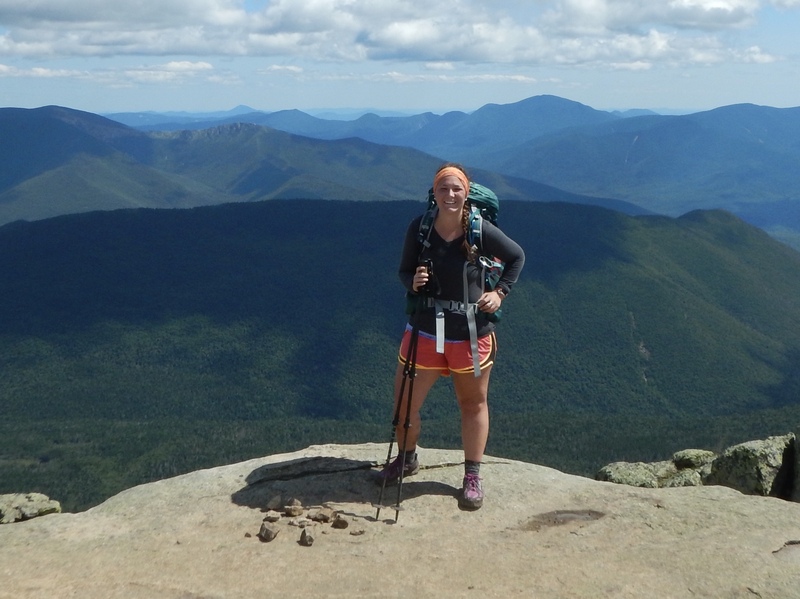 Growing up in New Hampshire, backpacking trips in the White Mountains filled my summers. I was lucky enough to have parents who brought me into the woods early on. I spent my first overnight hiking Franconia Ridge. We camped at the Liberty Springs campsite. Upon finishing our hike, my family picked up an AT thru-hiker and drove her into Lincoln. At six years old, I thought she was pretty cool even though I had no idea what thru-hiking was at the time. I distinctly remember my first hike up Mount Washington and the sense of excitement reaching the ominous, yellow sign warning of the potential dangers ahead. Excitement quickly faded away when clouds and thunder rolled in. It may have only been a seven-mile hike but I still remember the sense of accomplishment standing at the summit. I felt like I was on top of the world. 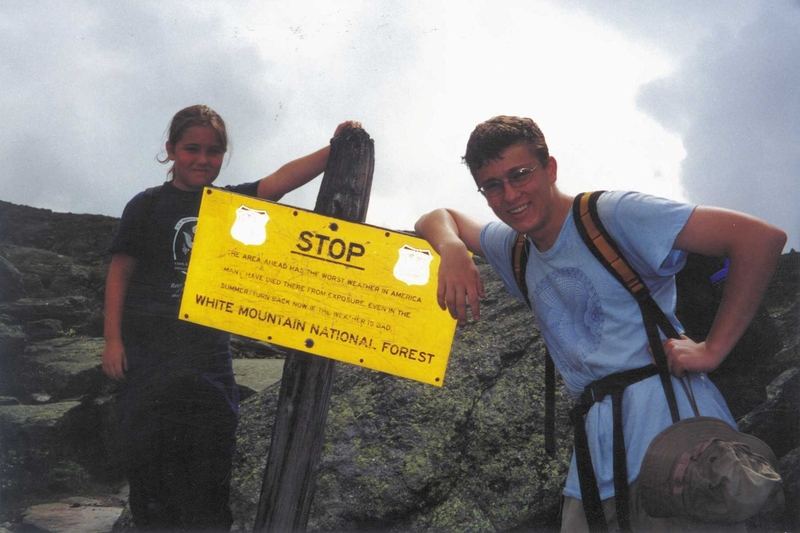 My brother and me hiking Mount Washington in 2000. During my senior year of college, my job search was not going well. With the prospect of being an unemployed college graduate, I thought, maybe I’ll thru-hike the Appalachian Trail. My plan was to apply for jobs and if I didn’t find one, my fallback would be to thru-hike. I’m not sure how I got this idea in my head. I had backpacked as a kid but hadn’t spent much of my adult life backpacking or hiking. And then I got a job. The fallback plan of an AT thru-hike was gone. I moved back to New Hampshire and was not too enthralled with the realization of living in the same place I had grown up. Then I started hiking. And by hiking, I mean hiking all the time. As an outgoing introvert, solo hiking was bliss. I would spend hours hiking alone but then could chat with people I met along the trail. Solo hiking allowed me to be in complete control of my hike. From where and how long I hiked to how often I hiked. My friends started seeing me less frequently, usually only at night or during bad weather. Day hikes transitioned into overnights. Nine mile hikes transitioned to 19-mile hikes. And suddenly, I couldn’t imagine spending my time doing anything else. Franconia Ridge during a solo hike of the Pemi Loop. In April 2017, the idea of thru-hiking reappeared in my mind. It actually entered my head because of regret. I didn’t know I truly wanted to thru-hike until the ideal time had already passed. I soon would be leaving my job to attend graduate school. This transition period would have been the perfect time to thru-hike but it had already passed. And then the dreaded thought crossed my then 25-year-old mind: Maybe I will have to wait till I retire to thru-hike the AT. I sadly said goodbye to the New Hampshire mountains and moved to Atlanta. When I arrived in Georgia, I felt like an outsider hiking in a new place. Notches were called gaps. Campsites were free to stay at (a huge plus for Georgia). I didn’t drive by countless Dunkin’ Donuts to supply my morning coffee needs before hitting the trail. Then I hiked up Blood Mountain. The AT in Georgia felt like home even though the mountains of New Hampshire are almost 2,000 miles away. 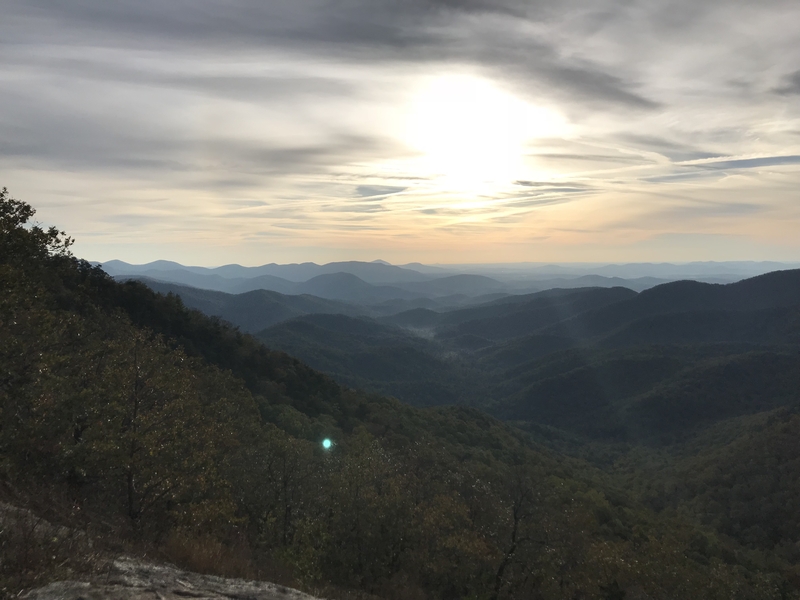 Spending much of my time hiking the AT in Georgia and North Carolina, I decided I really needed to hike it all. Preachers Rock on the AT in Georgia. I am two weeks from finishing graduate school. And I made the decision not to look for jobs, but rather hike. A decision my classmates probably do not understand, a decision my parents are probably not as delighted with as they seem, but a decision I will not regret. Jobs will be around when I finish. I decided I cannot wait till retirement or till a magical six-month sabbatical from all of life’s responsibilities appears. Now is when I will hike. Unlike when I finished college, thru-hiking the AT isn’t the fallback plan, it is the only plan. After living in Atlanta, thru-hiking back home to NH (and a “little” farther to Maine) seems like a great idea. I enjoy reading your blog and I wish you good luck on your journey.